If you are new to the buying process, buying a commercial real estate or business is not like buying a car! There are many steps to go through and it will take lots of your free time. Our brokers can play a vital role in helping you not only to find a property or business but will also assist you through the entire buying process. There are a wide range of commercial properties and businesses available for sale in a market. A property selection process is sometime very difficult and can be time consuming. Making a wrong property or business purchase decision can create a big hassle or possible loss of investment. At Aspect Brokers, we listen, understand and carefully evaluate your requirements. Based on your resources - amount to invest, return on investment (ROI) expectation, how much time you or your team is willing to spend, we provide you multiple purchase options that are best suitable for you. We do not make any decision for you, but we feel that based on our years of experience, industry knowledge, sold several mid to high range of properties, we are in a comfortable position to discuss your future investments. This is completely complementary service to our new and repeat clients. Offer to closing process can be time consuming and painful if they are not well guided and organized. In the few steps below, we advise you to consult your attorney to seek legal advice. At Aspect Brokers, we are committed to walk our buyers through every detail. You can start with verbal offer, letter of intent or complete offer to kick off the process. During the process, we discuss micro details with you including offer price, time needed to complete the deal, earnest money, down payment requirements, due diligence period, verification of financial details and much more. We also suggest several offer details to be included that buyer doesn’t even mention to us – for example - how to count inventory or what to do if offer is not accepted. 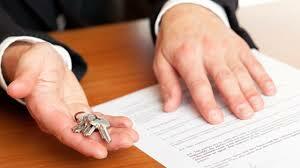 Sometimes, buyer is hesitant to make an offer even though property or business suitable and within purchase criteria. We believe that by making an offer it opens the door to cross verify the information during due diligence provided by the seller. In most cases, we have seen a gap between offer price vs asking price. With our experience and strong negotiation skills, we play a vital role to close this gap efficiently. We do not act as a messenger; pass your offer to the seller or vise versa. We actually make the case and justify your offer. We handle the entire negotiation process seamlessly so that it will not waste your time. Earnest money is good faith money that will be deposited to escrow account as directed in purchase and sale contract. We always insist our buyers to pay extra weight on due diligence process. This is the time for buyer to find out more about property or business. Skip this step if you are a cash buyer. We have observed this is one of the time consuming step where buyer works with financial institution to obtain mortgage. With our buyer’s consent, we work closely with your choice of lender to provide deal related information in a timely manner. If you are buying a real estate, there are very good chances that your lender may arrange property appraisal, environment inspection and survey. In most cases turn around time is one week to six weeks – depends size and complications of property you are purchasing. Most likely, authorized legal person performs the title search to find out legal matters related to the property and resolve if there are issues. Dealing with landlord / property management company is another segment when you are buying a business or leasing a space. Forming a company to deal with fuel supply agreement, obtaining various licenses or opening new business accounts; we direct you to the right resources that are very helpful to accomplish each item with less hassle. Because we prepare you in advance, in most cases the post closing process is brief and minor. Once you close the deal, we do all we can to make sure you focus on your property or business. With our custom buying process, we have established a long list of satisfied buyers. We are eager to do business with you and hope to earn your business.